The Football Federation Samoa (F.F.S.) in partnership with the National Advocacy Organization of People with Disabilities hosted a two-day course training on the Just Play Programme at Tuanaimato. Just Play Programme was developed by the Oceania Football Confederation to children in the Pacific to grow, learn and explore the sport of football. 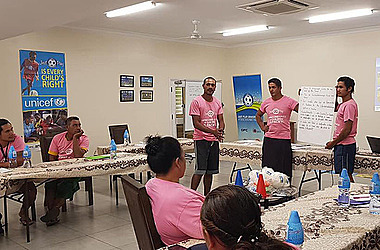 In honor of the month of Pinktober, all participants from Upolu and Savaii were provided with pink shirts to show their support for cancer awareness in Samoa. According to the F.F.S. website, the objective of the training is to help teachers, parents, volunteers with disabilities to prepare and implement the Just Play Programme targeting five to 12-year-old children in Samoa. Just Play Programme also looks to increase opportunities for persons with disabilities and to promote a change of perception towards disabilities in the wider community. And one of the key aspects of this programme is changing lives in reference to learning to respect everyone no matter what position they are in. 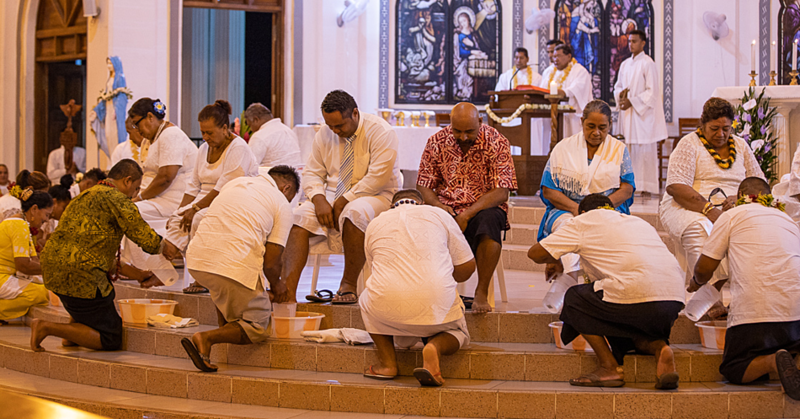 The programme also intends to ensure that every child has a positive first experience in sports which is the reason behind linking with the Nuanua O Le Alofa (N.O.L.A.). The partnership is crucial to include everyone with disabilities in the Just Play activities and for teachers and volunteers to promote acceptance of differences and encouraging children to play together. But most importantly it provides a safe environment for children and everyone, that is free from harassment, discrimination, abuse and also a respectful and positive behavior and values where all teachers trained under the programme understands and signs the Child Protection Policy before the delivery of the Programme. This programme will be monitored and evaluated for 20 weeks, including a total of four days of festivals at the end of each four weeks. Just Play Programme is made possible with the support from the Australian Government, the New Zealand Government, the Union of European Football Association (U.E.F.A. ), and Foundation for Children, Australian Football Federation and UNICEF. The programme has reached over 300,000 children across 11 Pacific Island countries through regular programming.